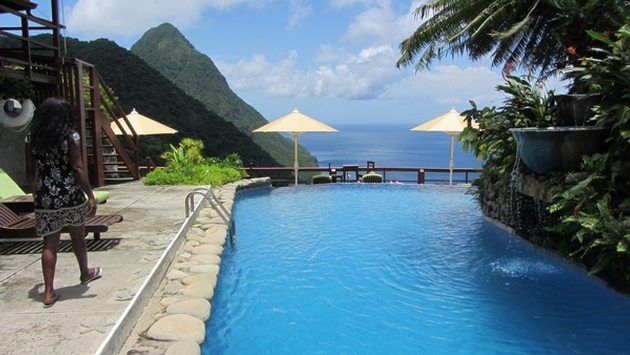 St. Lucia tourist arrivals are off to a strong start in 2014 following a record year in 2013, according to St. Lucia Tourist Board (SLTB) data. A total of 27,643 overnight visitors arrived in Saint Lucia in January, a seven percent increase over the same month in 2013. The numbers include an 11 percent increase in overnight arrivals from the United States, St. Lucia’s largest source market, with a total of 9,272 visitors in January. The increase was driven by strategies including enhanced online and social media strategy, the hosting of a wedding symposium, a proactive push to “redefine” small properties on the island, and “consistent advertising in key media outlets throughout the year in primary source markets,” according to Tracey Warner-Arnold, deputy director of tourism and head of the SLTB’s marketing division. St. Lucia also welcomed a 15 percent increase in January 2014 overnight arrivals from Canada, with an increase of 5,913 in 2014 from 5,137 in 2013. January cruise ship arrivals in St. Lucia were also higher in January, increasing seven percent to 102,901 passengers. Cruise calls for the month also increased said SLTB officials, up to 64 ships from the 61 that called in January 2013.